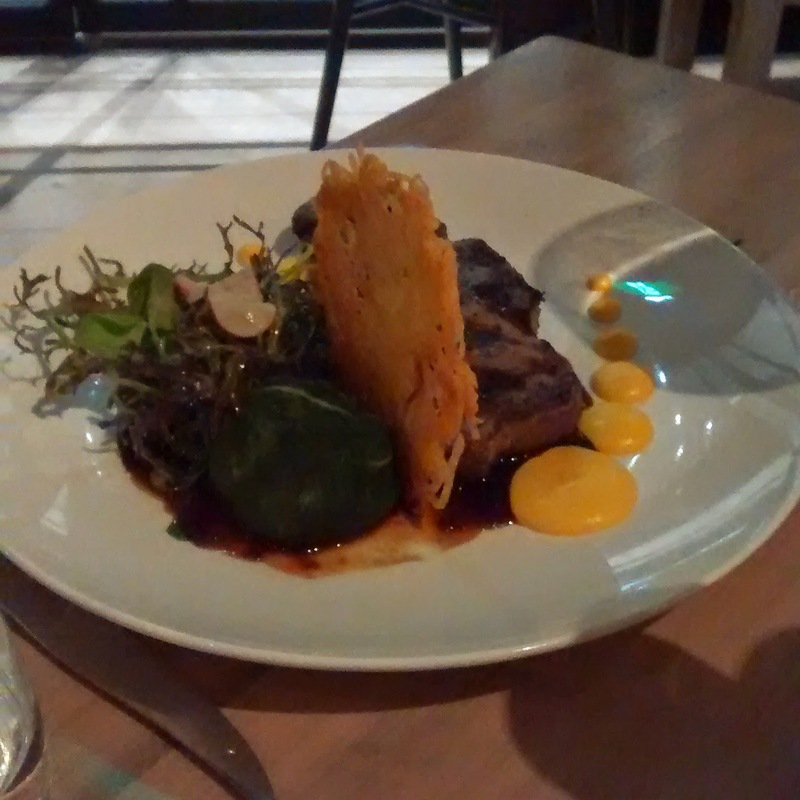 Danny was visiting and was after some "modern Australian" cuisine; a bit of research led us to the Grain Store on Flinders Lane. 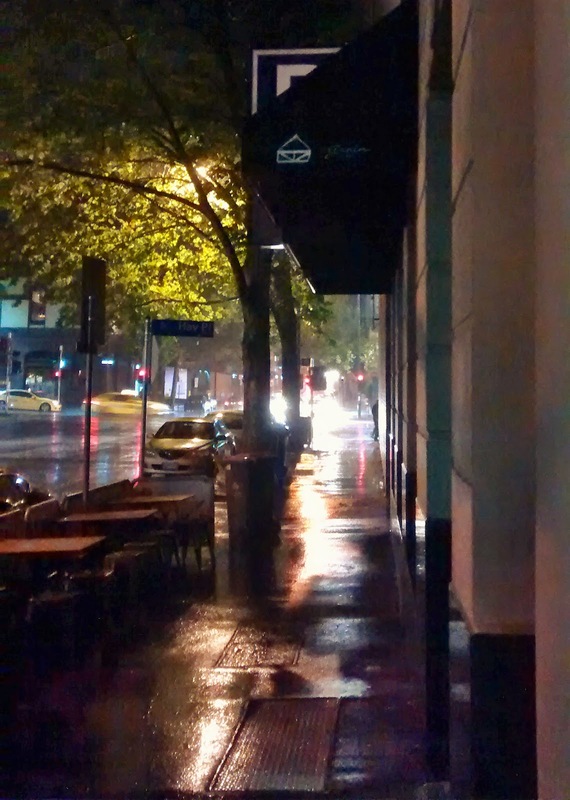 Outside it was wet, so not a great time for finding the perfect angle, as it is the restaurant is in a large multi story building, with minimal branding outside. 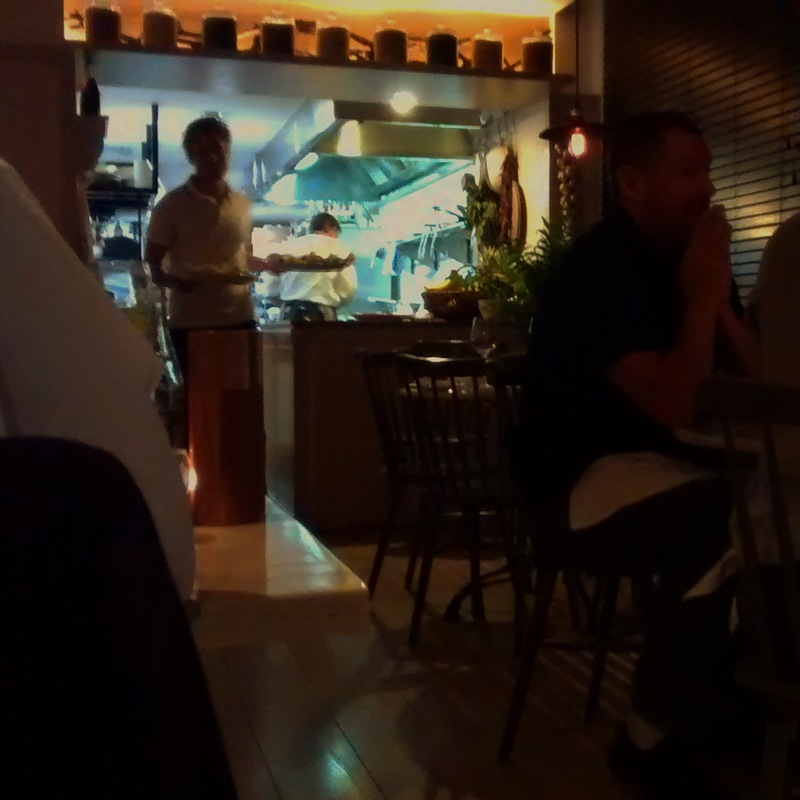 Inside the look was smart with plenty of light wood and would suit the brunches that get great write ups. At the back the kitchen is open. The menu isn't long, but it still took us a while to choose our meals. 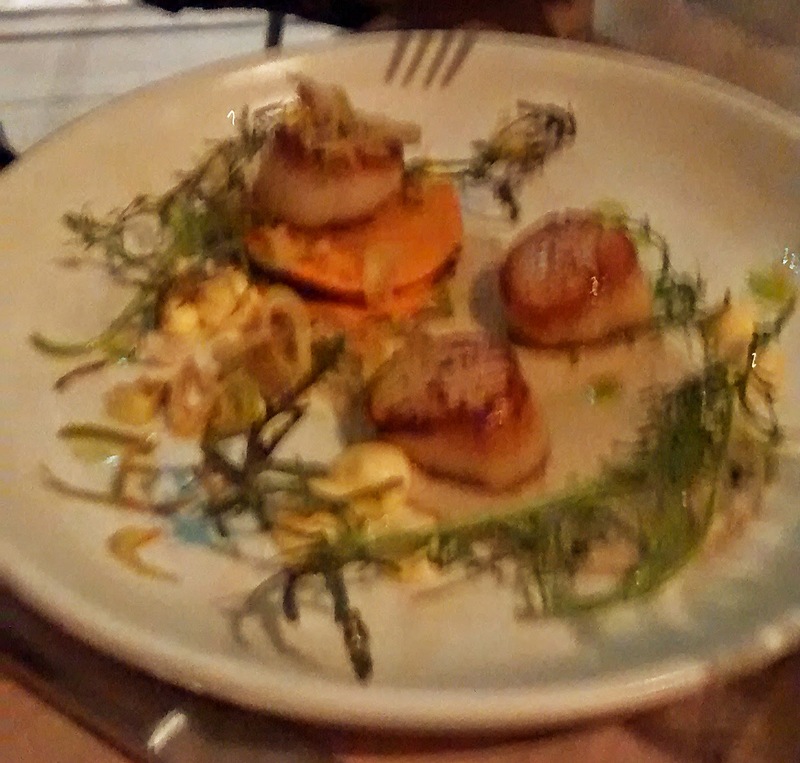 Danny ended up selecting the pan seared scallops with smoked eggplant, a butternut boudin noir (black pudding) sandwich, ricotta lemon curd and crisp leeks which he enjoyed. I went for the octopus which came with calabrese peppers, saffron potatoes, chorizo aioli and a smoked paprika chimichurri. 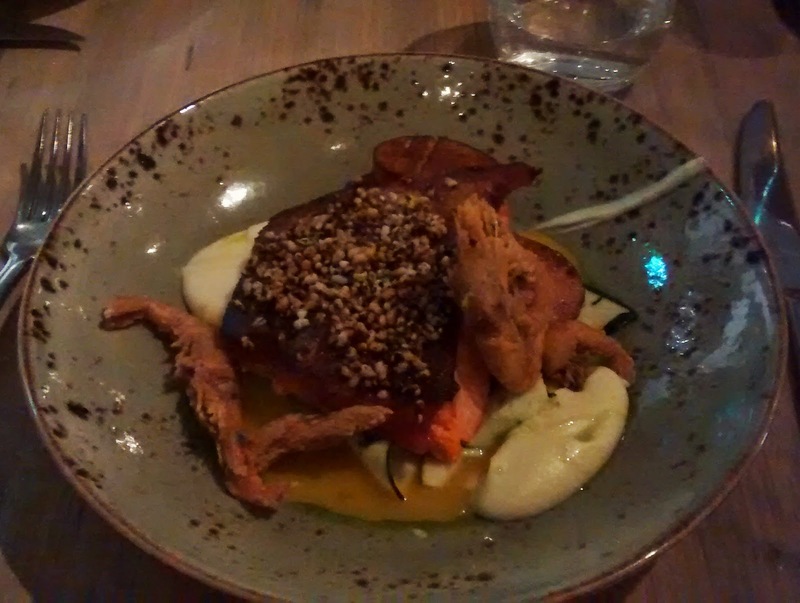 The tender cephalopod was well complimented by the strong flavours.. Despite his well laid plans, Danny ended up opting for steak again. He asked for the 300g Romsey range NY cut grain fed sirloin rare, but it came out a little over that, but it still went down well. It came with a potato galette, sauce béarnaise and caramelized red onion jus. My choice for main was the ocean trout, which came on this evening with cauliflower purée and fried school prawns. The skin was crisp, the flesh tender, moist and flavoursome. 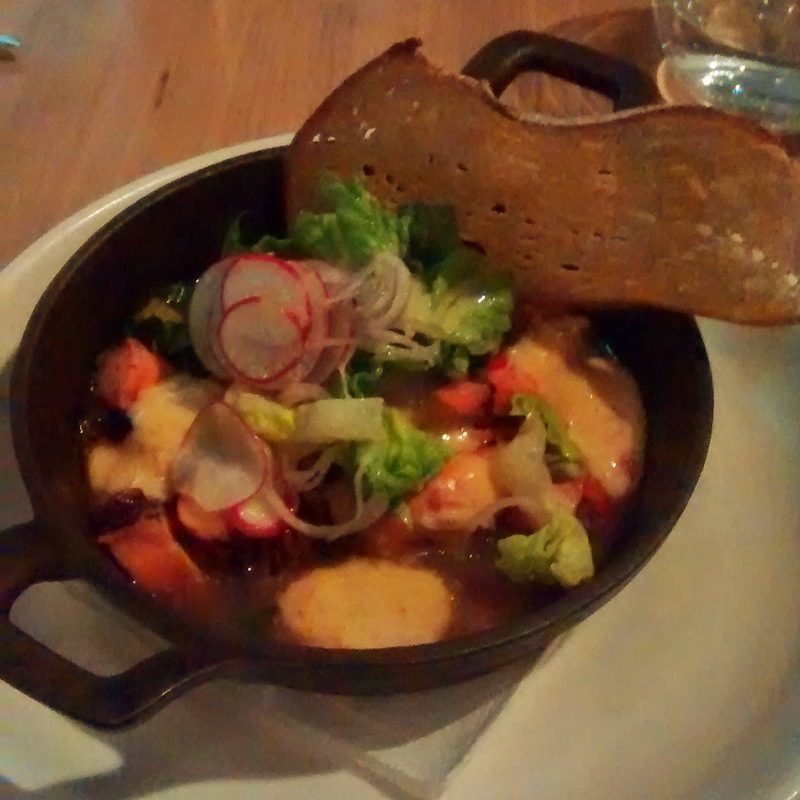 The crunchy crustaceans, veggies and sauce were perfectly cooked and worked well together. 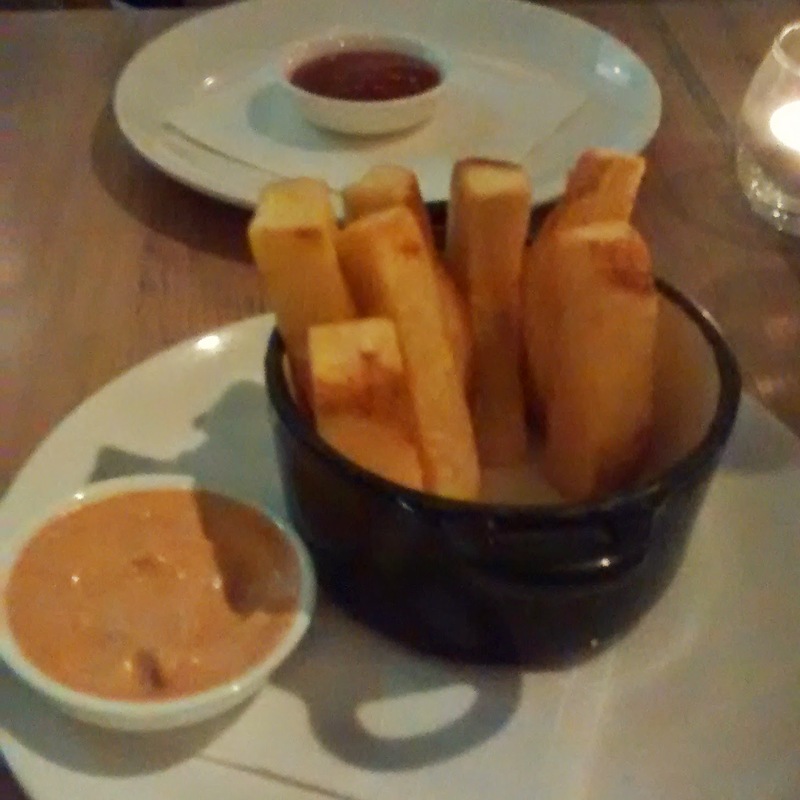 We had the side of triple cooked hand cut French fries which came with chipotle aioli, the tomato sauce came out on special request! The service was great, friendly, efficient and happy to accommodate our tardy ordering. The bill came to just over $150, including a few schooners of the True South Pilsner and a glass of wine. 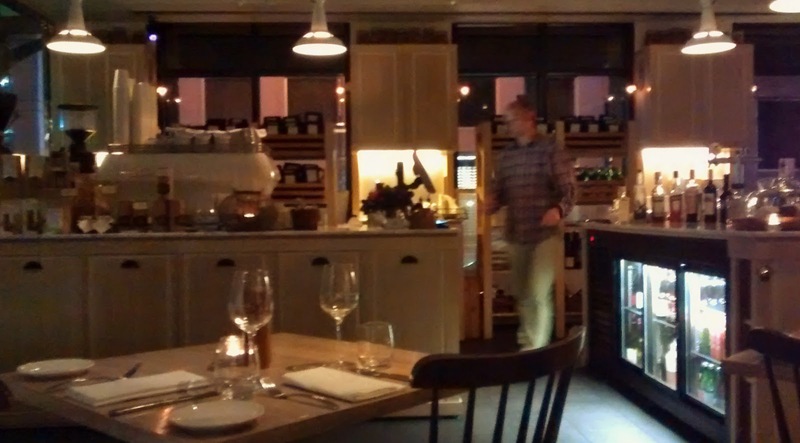 I'd be happy to eat at the Grain Store again, either at dinner or to try their lauded brunch.